Shockingly, it’s over two years since Multiplication made easy appeared here on Ladybird Tuesday. Back then I wrote about how maths can really divide people as a subject. Some love it and some hate it. I’ve always thought of myself as being firmly in the “love maths” camp. When at school it was the lesson I always looked forward to. The idea of English or Drama on the timetable filled me with dread. Give me double maths over that any day of the week. 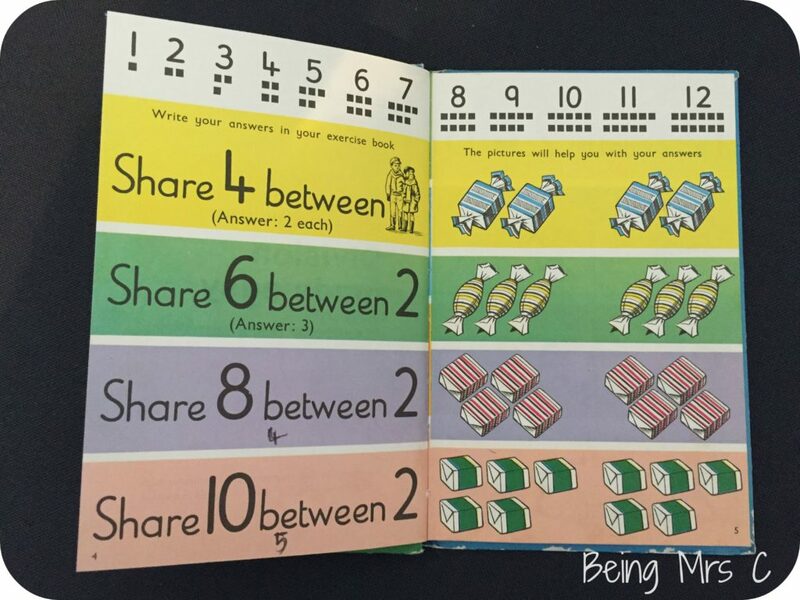 I’d like to say that I’m still on the “love maths” side of the fence, but as Little Miss C has advanced through the school system (she’s now in Year 3 – how on earth is that possible???) I’m starting to question my love of maths a bit. Maybe that’s a tad unfair. I think I still really love maths deep down, but heck it does seem confusing now. LMC comes home from school and starts using all these bits of terminology that I struggle to follow. I’ve got double maths at A-level yet some of the stuff a 7 year old says has me scratching my head. I know that really it’s all just terminology. It’s not like the basics of maths has changed at all. 2 + 2 still equals 4 and it’s not as if they’re about to start teaching something totally different, but trying to keep up with how to explain division has had me foxed on a few occasions now. I’m thinking of sitting down with her and today’s Ladybird Tuesday book, Division made easy, and seeing how she gets on. The sums are the same, but I’m guessing that some of the symbols they use have changed somewhat. Now, is it just me, or does anyone else find the division symbol ÷ more than a little bit fascinating? I mean, who decided to come up with a symbol like that? Who decided that it wasn’t allowed on computer keyboards and so we all had to use / instead? I obviously understand that / is a relevant symbol, but the faff of having to go to the “special characters” tab on the WordPress editor window just to include a ÷ proves my point. And what was with that funny thing you used to draw around numbers. 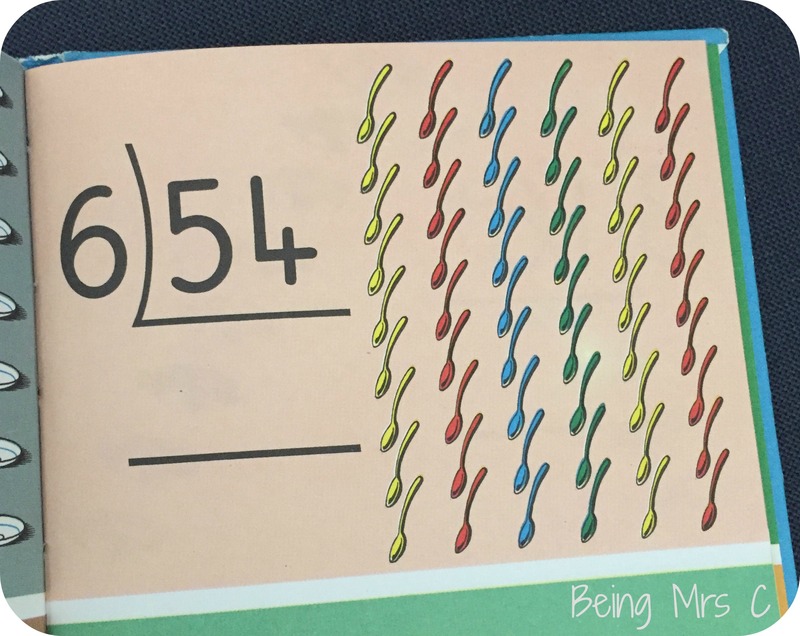 Like the above to show that you wanted 54 to be divided by 6. I vaguely recall initially learning to draw it the other way up and then getting to Year 5 and the teacher telling us that we were now old enough to draw it the way you see it in the picture above. What the??? Anyway, enough ion me rabbiting on. On to the book in question. 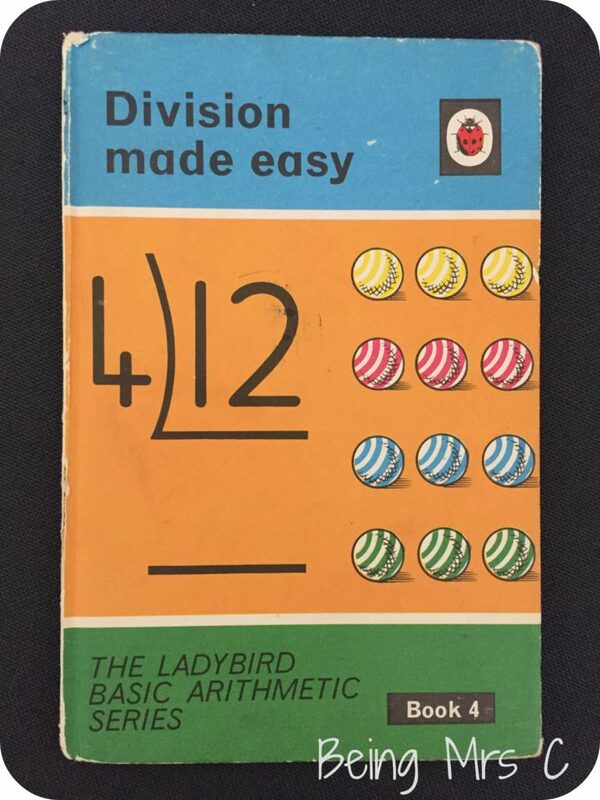 Division made easy was published as Book 4 in the Basic Arithmetic series of Ladybird books (also known as series 678). Unsurprisingly the other titles in the series are Addition, Subtraction and Multiplication made easy, in that order. 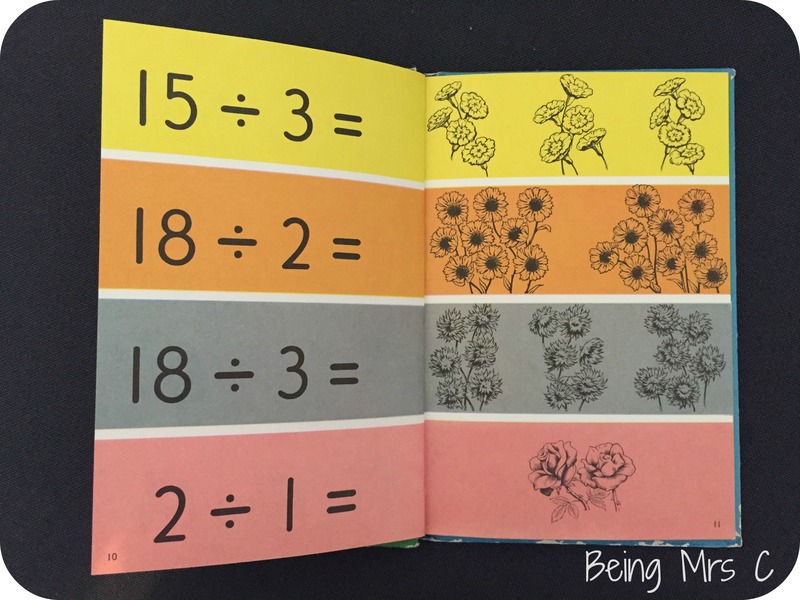 Back when I wrote about the multiplication title I questioned at length the fact that these books claim to cover “basic facts” of each of these arithmetic rules, but with hardly any explanation as to what the facts are, why they are important or how to use them. 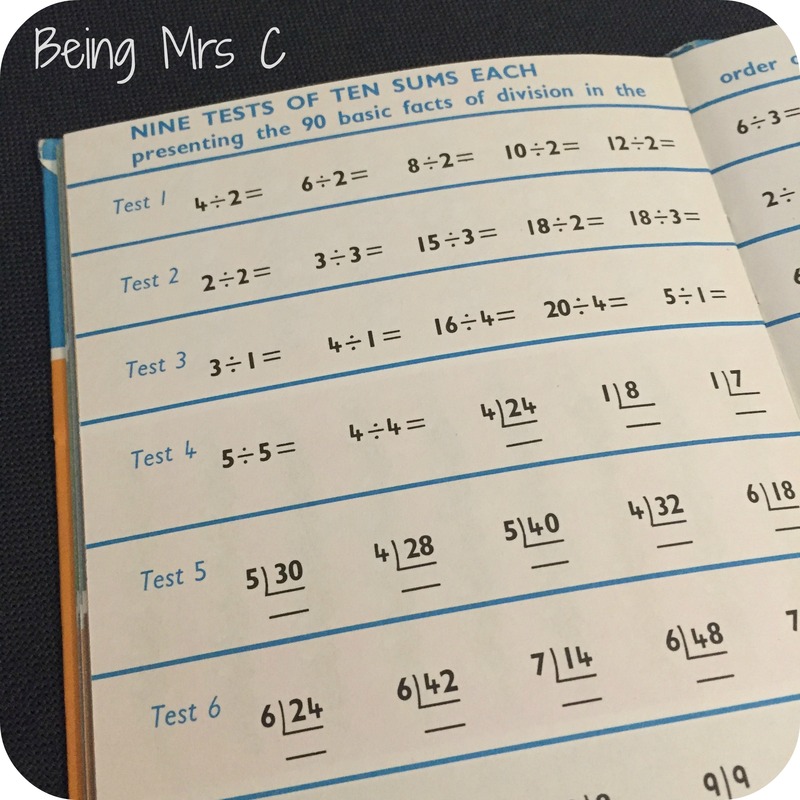 With the division book I’m still just as puzzled, whilst also wondering why addition, subtraction and multiplication all have 100 facts about each, yet there are only 90 facts about division. I thought division was the opposite of multiplication, so surely if there are 100 facts about one there should be 100 facts about the other? I’m still on the hunt for the books from when the series was reissued as the Junior Maths series in the 1980s to see if they change the way they explain things. I’m pretty sure I saw one of them when I moved house, but I’m damned if I can find it again. Guess I’d better keep looking to see if the maths became any clearer over the years. Division made easy was first published in 1968 as part of the Ladybird Basic Arithmetic Series, series 678. It was written by W. Murray who was the author of the Ladybird Key Words Reading Scheme. The copy I have has a tally number of 320 on the rear cover and was priced at 15p. The ISBN for the book was 0 7214 0046 9.